A new batch of 140 indigent Grade 1 pupils from Muntinlupa Itaas Elementary School (MIES) will receive annual educational support for six years from the Insular Life employees through the Adopt-A-Scholar Program of the Insular Foundation. It was during the turn-over ceremonies of school materials held recently at MIES, New Bilibid Compound in Muntinlupa, that the first year of educational assistance was fulfilled by Insular Life employees. Each pack of school materials contains school shoes, school uniform, and assorted school things and will be given to the selected scholars every year starting Grade 1, until they finish the Grade 6 level. The adopted scholars and their parents came to receive the pack of school materials from Insular Life Executives, President and COO Mrs. Mona B. Lisa dela Cruz, Senior Executive Vice President Mr. Jesus Alfonso G. Hofilena and Senior Assistant Vice President Ms. Ana Maria R. Soriano, with the Insular Foundation staff, Ms. Teresita Melad and Ms. Mitzie Casibang. The MIES School Principal, Mr. Raul T. Felix, MIES Coordinator, Mrs. Rebecca V. Kondo and other Grade 1 Teacher Advisers were also present during the event. 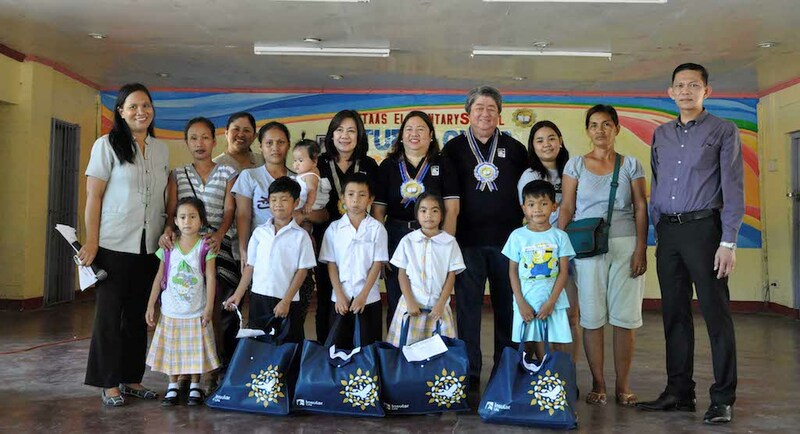 Since the program started in Muntinlupa Itaas Elementary School in 2001, 242 scholars have already benefitted from the educational assistance given by more than 100 Insular Life employees. Adopt-A-Scholar Program is one of the many educational programs of Insular Foundation that seeks to improve the quality of education of the country and be able to help fellow Filipinos make their lives better.